The Government of India had permitted foreign direct investment (FDI) in multi brand retail in late 2011, which was approved by the Cabinet in September 2012. On 6 June 2013, the government issued further clarifications on its policy, particularly relating to the mandatory investments and sourcing requirements to be met by foreign retailers investing in India. According to CRISIL Research, irrespective of these clarifications, foreign multi brand retailers are unlikely to make significant investments in India over the next two to three years. CRISIL points out that uncertainty in both the global and Indian economies will delay the entry of foreign players in Indian retail in the short term. Although the growth in India’s organized retail sector is expected to pick up, it will remain moderate at about 14-15 per cent over the next two years (2013-14 and 2014-15), believes CRISIL. The unstable political climate in India and the forthcoming General Elections of 2014, will only add to the delay in investments by foreign retailers, it says. ”. In this connection, it should be noted that as per the new clarifications, foreign retailers entering India will have to commit green field investments in both back-end and front-end for at least USD 100 million. Further, of the minimum investment of USD 100 million, investments in the front-end and back-end infrastructure will have to be USD 50 million each. Interestingly, the government has not yet clarified whether the mandatory investment of 50 per cent in back-end infrastructure would need to be on the cumulative investment basis or only on the minimum investment. 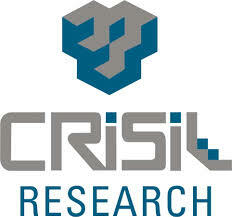 CRISIL says that in the event a retailer decides to invest, it will be another 2-3 years before the retailer can roll out greenfield back-end and front-end infrastructure needed for a sizeable scale of operations.